Home » Data Science Resources » Data Scientist – Where to Start? It is beyond any doubts that the career in Data Science is very promising, also it’s only going to get better and brighter in the future. In an article from Harvard Business Review (HBR), Career as Data Scientist is quoted as “The Sexiest Job of the 21st Century”. Why Data Science is in High Demand? Data Science provide insights into your business, customer behaviour, potential opportunities or threats and many more that could create a significant competitive advantage. 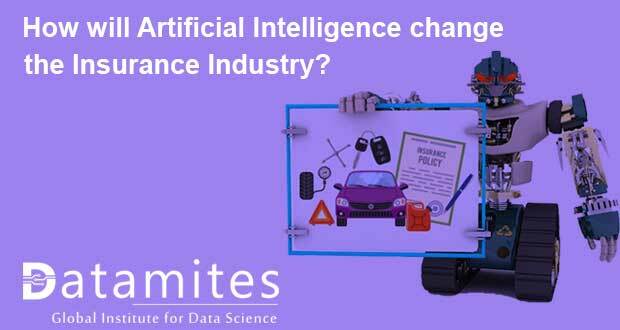 So not surprisingly, the demand for data science professionals is increasing exponentially as more and more organizations are adapting Data Science. 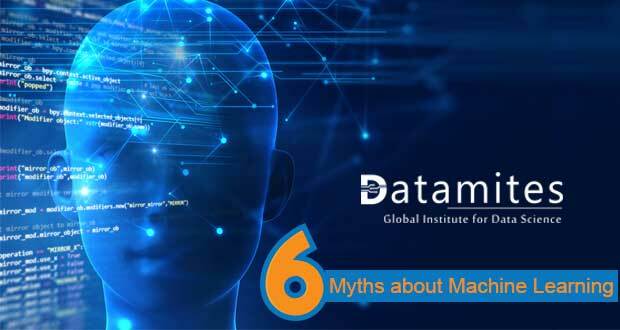 Accordingly to The Mckinsey Global Institute projection, there would be a huge shortage of data skills in the year 2018 across the globe. Specifically, in United states alone there would be a shortage of talents of around 200,000 people with data science skills. These are the professionals who are actual data scientist who can do the translation from data to insights and make it happen. 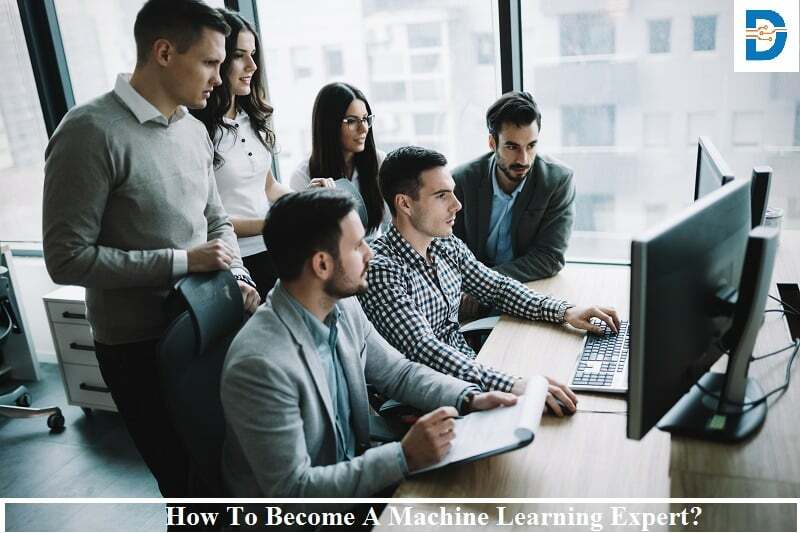 In addition, there’s a need for both specialists, the technicians who do the data science, as well as for generalists, the contextually oriented managers and others who put those results into practice. As per the report , the projected shortfall of 1.5 million professionals, who need to equip themselves with data science skills to keep their work relevance. 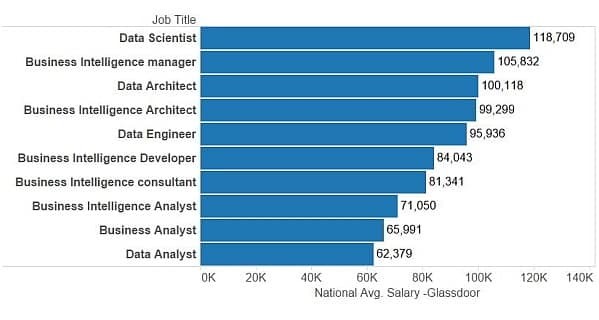 Also, Data Science professionals are paid high in the market. Below is the analysis from Glassdoor at United States job market in the year 2016. Where to start in acquiring Data Scientist Skills? 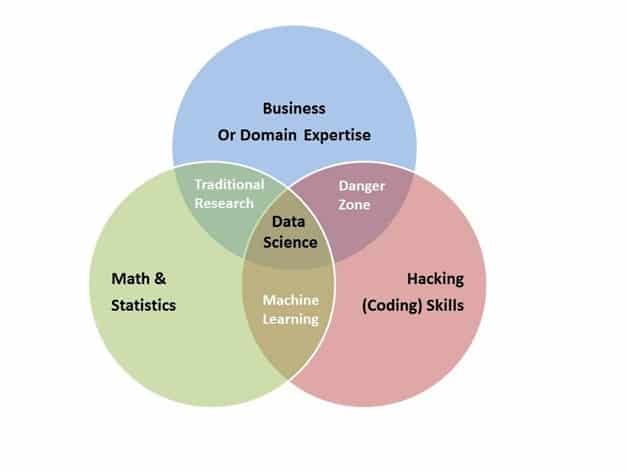 As per Drew Conway Data Science Venn Diagram, there are three specific categories of data science skills. Hacking Skills are required to extract required data, able to manipulate the text files with coding, understanding vectorized operations, thinking algorithmically. This doesn’t essentially require computer science knowledge, ability to acquire and manipulate data for analysis in an effective manner , kind of hacker’s way, is an important skills to process for Data Scientist. Typical Skills in this Category: R Language, Python, Coding to manipulate Data using R language, Python, Extracting Data from web scraping, through SQL, Open APIs. Once you gather and got your data ready for analysis through hacking skills, the next step is to actually analyse the data and derive insights from it. This requires a bit of math and statistics knowledge. You don’t have to master all the theory of statistics but, appropriate methodologies and concepts that you need to apply to interpret and derive insights from data. Your Data and Statistics gets you to Machine Learning. To call it Data Science, you need to proceed the third crucial skills, which i s Business or Domain expertise. Data Science is about building data models that can provide insights, predict business outcomes and give great deal of competitive advantage. This requires a good expertise of business to formulate right questions, thereby deriving valuable business insights. To conclude, Data Science skills essentially meaning combining all three category of skills, hacking, math stats, and domain expertise. There are lots of different things you need to do good Data Science job. 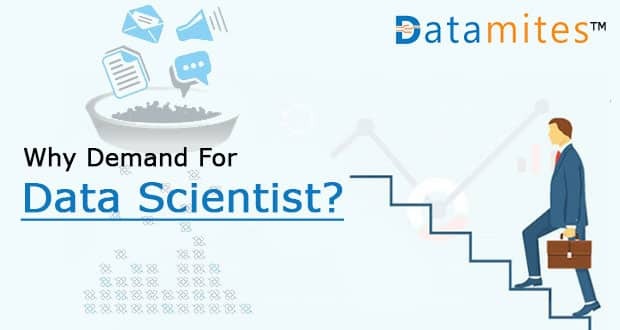 There are many different roles of Data Science, which is discussed in details in another article in Datamites.com blog. 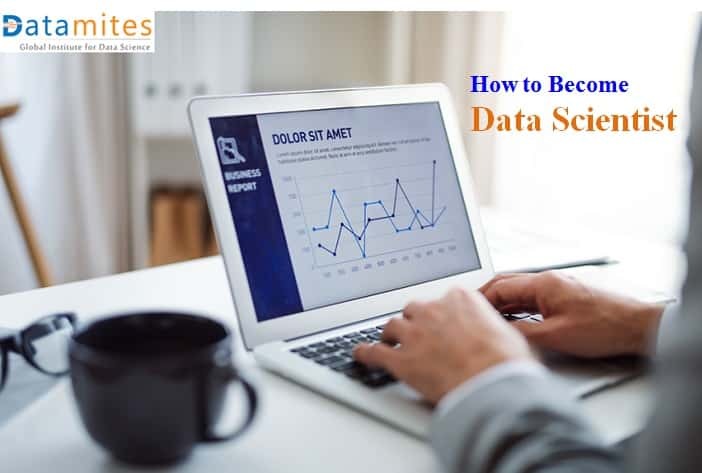 There are traditional ways for studying books on Data Science, attending an university course but more effective to take a market aligned certification course in Data Science. It is recommended to start with basic course which provide a strong foundation for your Data Science Career. 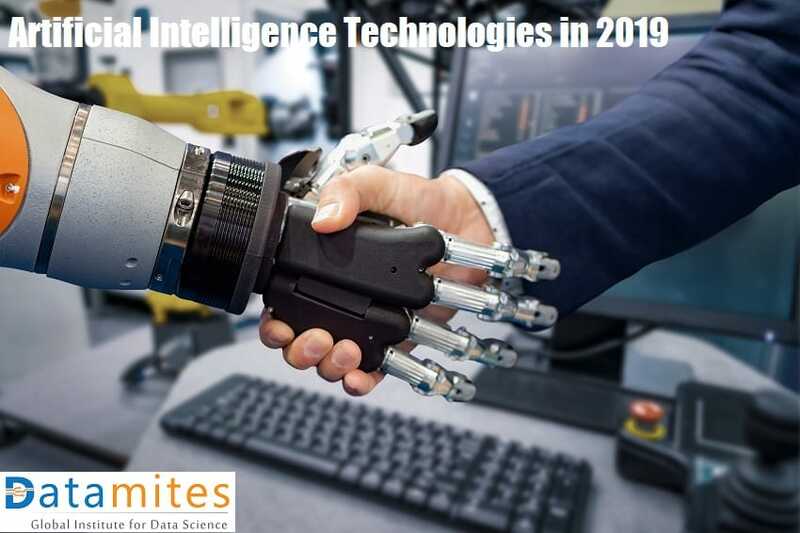 Datamites offer “Data Science Foundation”, which is accredited with “The International Association of Business Analytics Certification” (IABAC.org) and aligned with syllabus of IABAC™, which is a global standard as designed through European council framework for Data Science. Next: Data Science Team Structure – Where Do I Fit?